Yay for Friday! Thank goodness, I am so ready for the weekend! 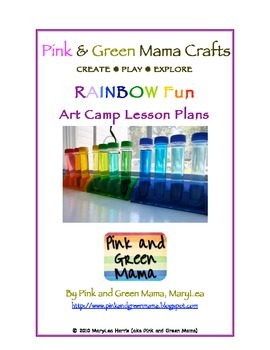 I have the best freebie for you today, This Art Lesson Plan book from Pink and Green Mama includes 20 different art activities for little ones. The ages range from preschool to second grade, so you may have to make some adaptations to make sure that the activities are completely appropriate for you preschoolers, but they look like tons of fun. Hopefully this will help you in the lesson planning departments and spark some creativity in the classroom!